Pictured (L to R) are: Katlyn Currie, Charles Steelman, and Katelyn Ferrell, receiving the Tennessee 4-H Vol State Award at the 88th annual Tennessee 4-H Roundup and All-Star Conference held recently at the University of Tennessee at Martin. 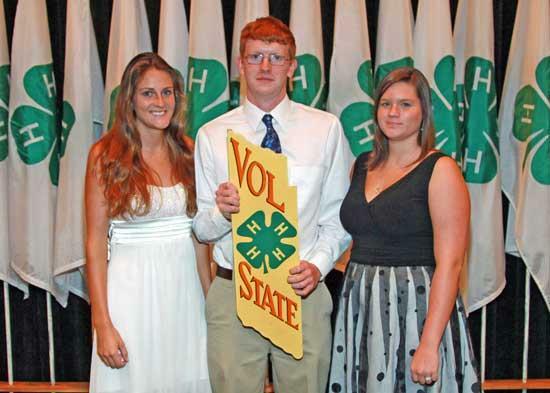 The Vol State Award is the highest award a Tennessee 4-H member can receive. The Vol State award is presented to high school juniors and seniors in recognition of excellence in all phases of 4-H work, as well as service and leadership rendered in their communities.